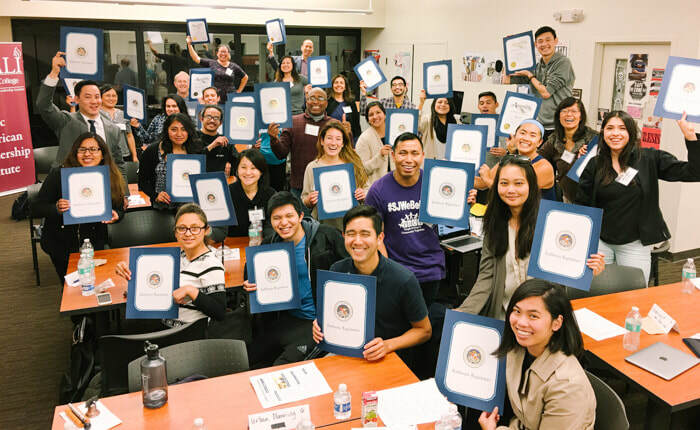 Join the APALI community network and CIVIC LEADERSHIP PROGRAM for personal growth and be part of a civic pipeline for Asian Americans, Latino Americans and under-represented groups in Silicon Valley/Bay Area. Since 2007, APALI’s Civic Leadership Program helps civic-minded adults focus and optimize individual pathways to leadership. * Veteran civic leaders & emerging leaders. * Early and mid-career professionals from sectors such as government, nonprofit, education, and business. * Activists and community volunteers. 1. Become more personally aware, inspired, and revitalized. 2. Become more informed, empathetic and thoughtful about social change, issues, leadership, and policy. 3. Develop clearer vision and thoughtful roadmap for personal civic leadership journey. 4. Become part of a vibrant community/network consisting of hundreds of impactful leaders and mentors serving in government, nonprofit, education, and business.